The entire world has become obsessed with Korean sheet masks and so have I. They are great to help bring back moisture to your skin, especially now that winter is coming. They have ingredients such as sodium hyaluronate and glycerin that hydrates and brings that much needed relief to your skin. You can use it anywhere (love using it before or during a flight), anytime (in the morning or evening) and only takes 15 minutes. What’s interesting is face masks now have evolved and the new rage is bubbling masks. These masks work a bit differently than the regular sheet masks. They both are cotton sheet masks and have a list of great ingredients for your skin. The main difference is that the bubbling mask once you place it on your dry skin starts to foam up in little bubbles. You just have to leave it on for 10 minutes and then rinse it off, while normal sheet masks have to rub the remaining liquid into your skin. The reason it foams up is because it is using ingredients such as licorice root extract and arbutin to help remove impurities from your skin and then you get to wash it all off. 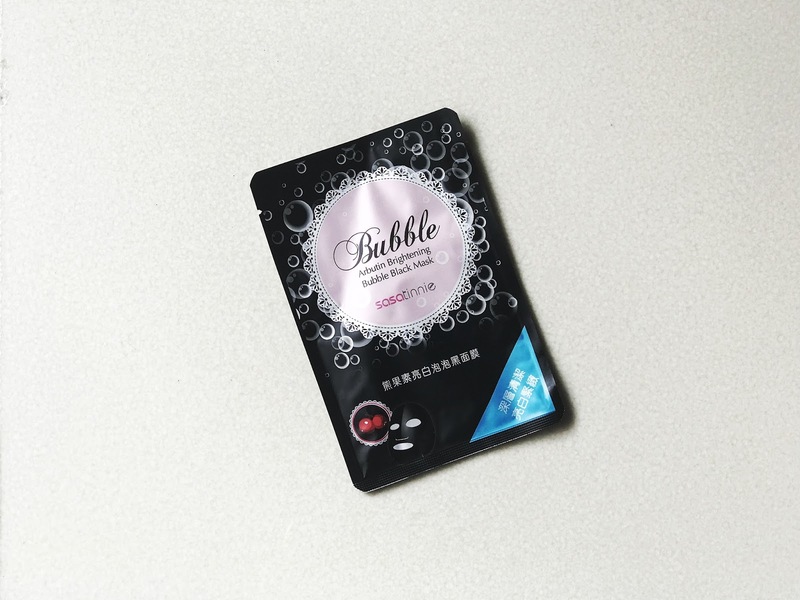 My current favourite is the Sasatinnie Bubble Arbutin Brightening Bubble Black Mask which you can get at any Sasa store.